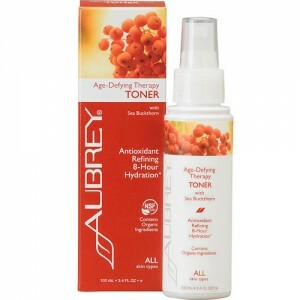 Gently clears away your makeup and impurities whilst refining your skin's appearance for a soft, healthy glow. A great, mild cleanser made with organic Jojoba, Coconut and Olive Oils paired with Quinoa protein, a proven conditioning agent rich in Amino Acids. Contains Aloe Vera and Rosemary Extract as a calming agent and antioxidant. 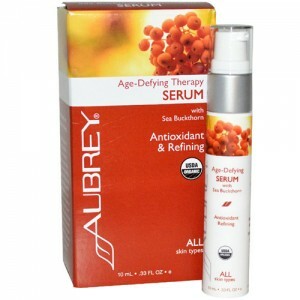 Aubrey Organics’ age-defying series contains a wealth of natural and organic ingredients including Sea Buckthorn Oil, a powerful antioxidant; AHA Fruit Acids & Rice Spheres to refine skin texture and organic Aloe Vera which hydrates and soothes your skin. Many ingredients are certified organic by the NSF – the American National Science Foundation. Shake well before use. Press the pump once or twice and evenly apply the cleanser over moistened facial skin in a circular motion. Rinse with plenty of warm water.